Think you need medical help right now? 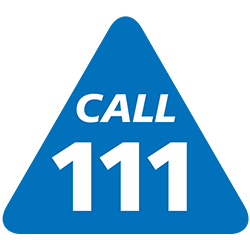 NHS 111 is available online, as well as over the phone! Just like the phone service, NHS 111 online takes you through questions about your symptoms to receive tailored advice on what to do next and where to go, and if necessary, can arrange for you to speak to a healthcare professional. NHS 111 online is conveniently accessed via your smartphone, tablet or computer, available 24 hours a day, 7 days a week.